This adorable resin sea turtle is swimming above a mound of sand with a starfish, coral and shell. He measures 3 3/4 x 4 x 3. 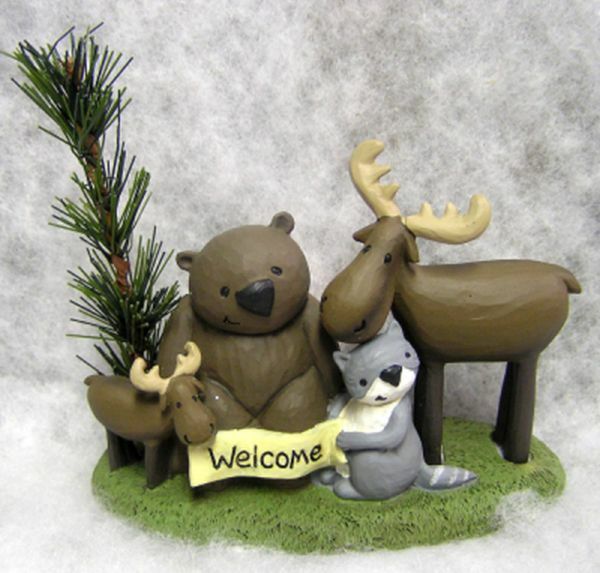 This unique ceramic item features a bear with fishing vest, hat, basket, fishing pole and fish. He has a little bear beside him and there is an evergreen tree with a cardinal behind them. This measures 9 x 5 x 5. 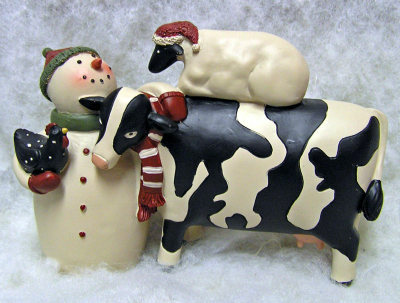 A black spotted resin cow is being hugged by a snowman with a scarf. He has a sheep with a snow cap on his back. The snowman is holding a chicken and has on little red mittens and a knit cap. 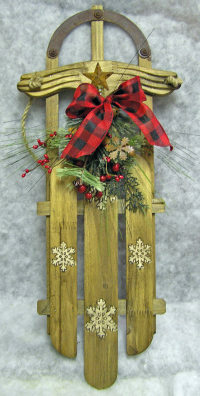 This measures 4 1/2 x 6 x 2. 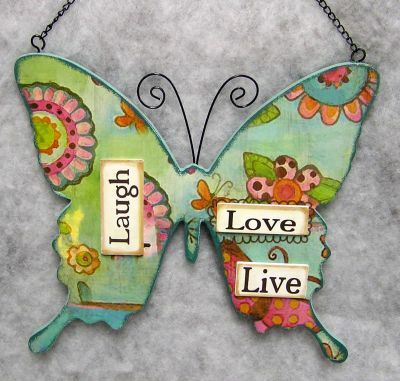 This wooden butterfly has a flowery design and the words "Laugh Love Live" on it. 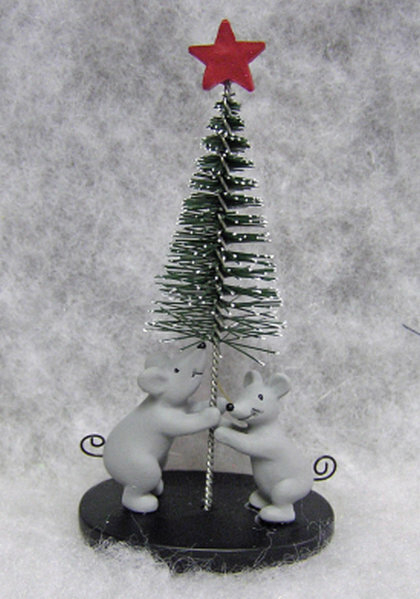 It has wire antennas and a black chain hanger. 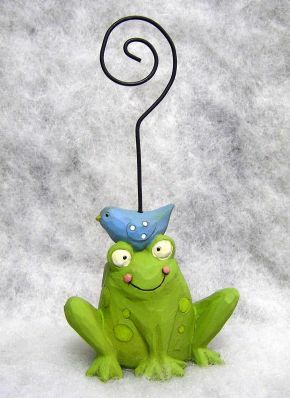 This little green frog is sitting with a bluebird on his head. He has a curled wire that can hold photos or notes. It measures 4 x 2 x 1 1/2.